Barcelona superstar Lionel Messi has took to his social media page to reveal his new work of art boot. 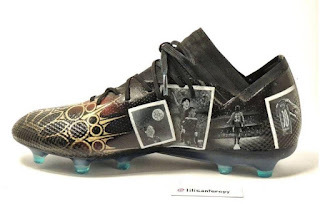 The boot tells a story of his remarkable life. 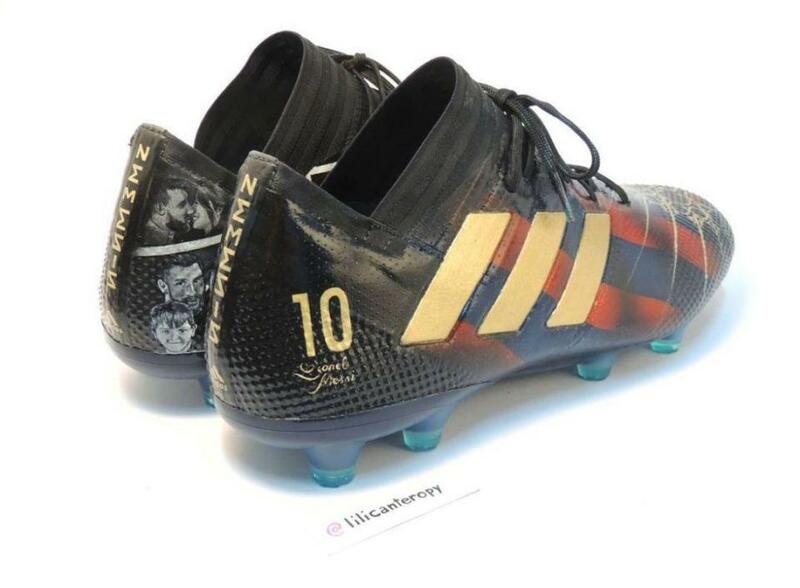 The boot has trademark Adidas stripes and also Messi's N0 10 squad number. Covering the boot is touching Polaroid style paintings. The left foot of the boot carries picture of Messi's family and it pays tribute to all his loved ones. Close to the heel is the name of his wife 'Antonella' and also the name of his two sons 'Thiago and Mateo'. 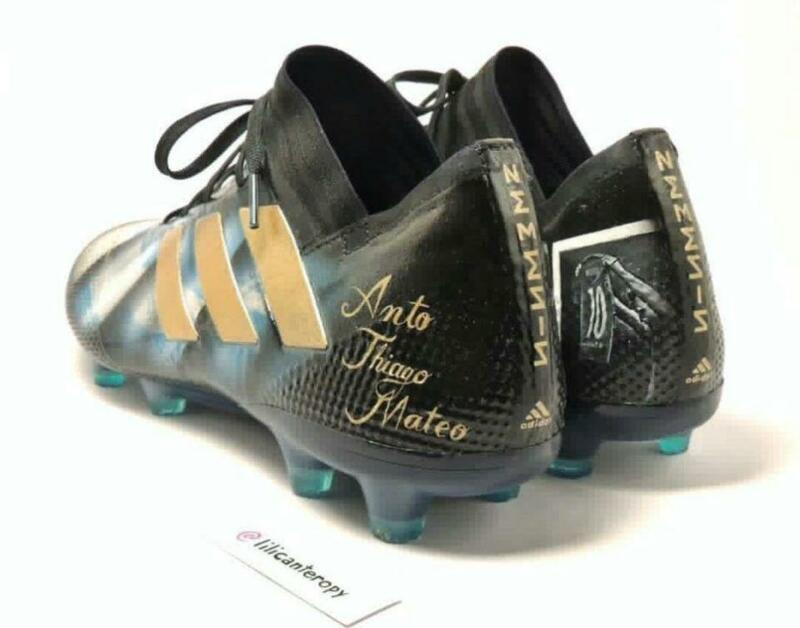 The left foot also has the image of Messi kissing his wife. 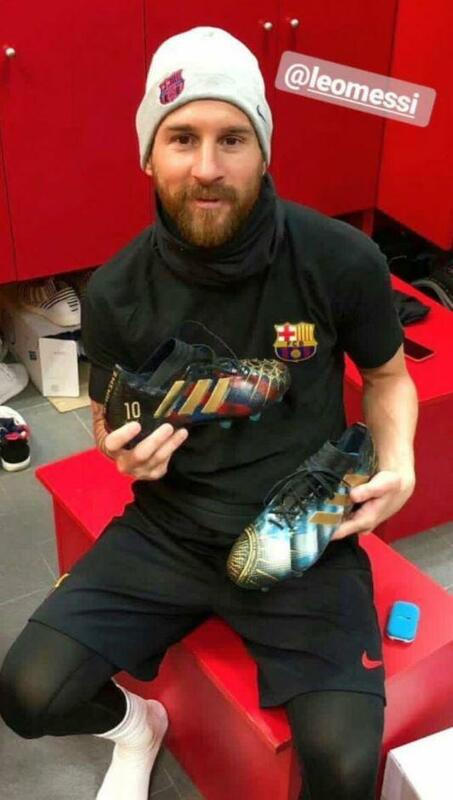 The right foot is all about Messi and Barcelona. 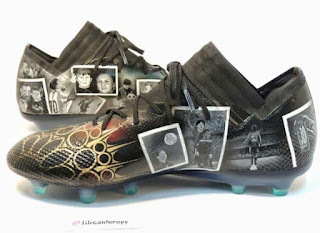 On the inside of the boot are landmark moments of Messi's five-time Ballon d'Or winning moment. 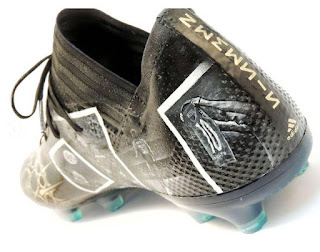 The right foot also has the image of Messi's iconic shirt-holding celebration against Madrid. It also has the image of Messi wearing the N0 30 shirt during his early days in Barcelona. To the left is an image of Messi jumping on the back of former team-mate Ronaldinho back in 2005. 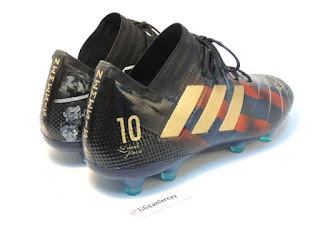 Other image on the boot is an image of Messi heading the ball. We all know Messi is not a good header of the ball. The right boot is dominated by the red and blue colours of Barcelona.